Mary’s advocacy revolves around DRW’s special education priorities, which currently include transition planning, seclusion and restraint, least restrictive environment, and suspensions and expulsions. She also provides general information and outreach to parents and school staff, regarding special education rights. 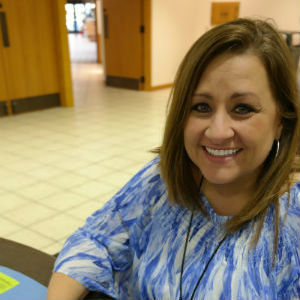 Mary received training through the Wisconsin State Victim Assistance Academy. Mary’s education, however, is secondary to her personal experience. Mary learned special education law while advocating for her own son and continued to provide advocacy for friends, family, and members of the community. She knows what it feels like to be that parent on the opposite side of the school special education staff during IEP meetings. Her victims advocacy work is only recent, but she has found it to be the direct link to many of the students she advocates for. Mary is a 2015 Partners in Policymaking class graduate.